We are settling back into home life after our summer holidays, but we have reached a major milestone this week, with Alexandra’s first day of school. 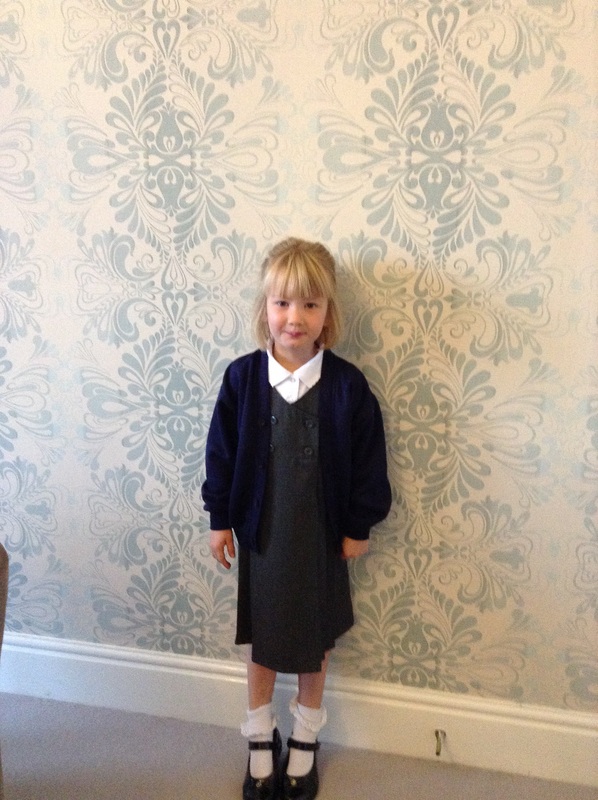 This has been an eagerly awaited day for Alexandra, involving several short visits to school earlier this year and many attempts at wearing her new school uniform around the house. But yesterday was the big day and she made the most of it. 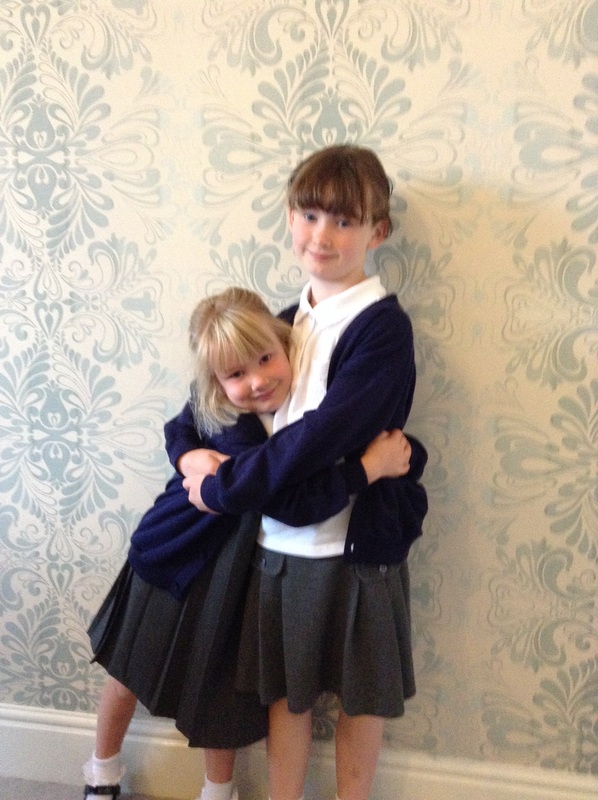 School uniform was on within seconds of her opening her eyes from sleep, and her big sister was in an extremely supportive mood, which was very sweet. Anja had the honour of taking Alexandra to school. There were a few tears, but those were from Anja. Alexandra is not lacking much in the way of confidence, so I fully expect her to settle quickly in her new surroundings. As a retired teacher I enjoyed reading the poem/letter from Alexandra’s teacher. Your daughter is in for a wonderful year no doubt.